Club House Kudos: Cuttlebug Challenges! One thing I hear alot from scrapbookers is that when they buy a tool they end up not using it as much as they thought they would. I am guilty of this myself. Today for Club House Kudos I have found a blog that encourages the use of one great tool: the Cuttlebug. 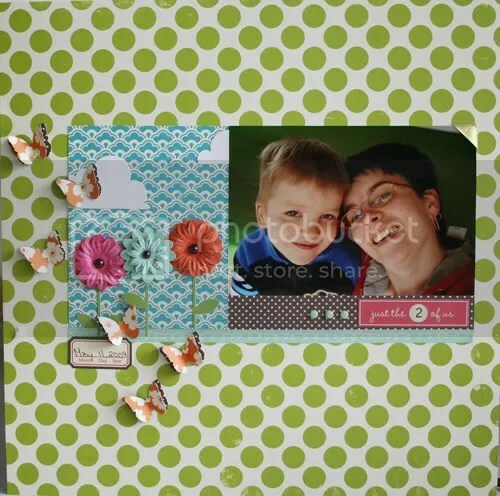 This blog focuses on getting you to get the most out of your Cuttlebug and inspiring you with amazing samples of completed projects. They even have contests and some pretty amazing prizes too. This week for our Club House Challenge, I’d like you to think in groups of 3. See above in my example, I have 3 brads, 3 flowers and 2 groups of 3 butterflies. Have fun with it! For this week’s challenge, think about an item that is special to you. For me, it is my wedding ring. Include a photo and journal about this object and why it means so much to you. 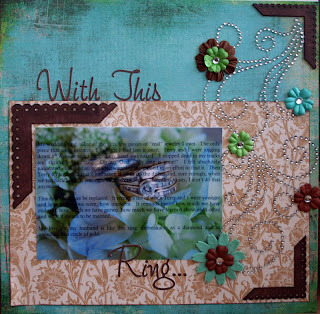 Be sure to link us to your blog so we can see your wonderful creation!